One would have to be a fool to miss the deep themes of cultural betrayal and abandonment prevalent in Ryan Coogler’s 2018 Blockbuster release of Marvel’s Black Panther. The harshest critique of Wakanda’s isolationist policies is placed in the mouth of the movie’s chief antagonist, Erik Kilmonger. Orphaned due to the murder of his father at the hands of T’challa’s father T’chaka, Kilmonger asks a question that millions of African-Americans have asked absentee fathers for generations: Where the hell have you been?! The answer was given by both T’Challa and his father T’chaka. They were too preoccupied with the future and destiny of their own people, to be concerned with the suffering of those Africans scattered throughout the Diaspora. On this matter King T’chaka states explicitly, “I chose my people. I chose Wakanda.” Despite the triteness of the cliche, I must state here that truth is stranger than fiction. A small group of Black Americans have followed T’chaka’s lead, and are now choosing their own people over everyone else. A.D.O.S or American Descendant Of Slaves, is group created by Black Female Blogger, Yvette Carnell and Attorney Antonio Moore. Largely a social media creation, the group purports the represent the interests and objectives of Black Americans whose ancestors were victims of chattel slavery in the United States. ADOS denounces, initially at least, the most fundamental notions of Pan-African Nationalism in favor of a Black America First approach to American politics. It is a kind of aberration that is as bizarre as it as ironic. It practices the form of black nationalism without the substance. It recaps the historical grievances of Black Americans while incriminating native Africans as accomplices in the Black Holocaust. For instance, it places a healthy share of blame for the Transatlantic Slave Trade on African chiefs. European agency and actions are collapsed in a single recrimination of African complicity. And truthfully, they are right. For over 200 years, powerful kings in Benin (formerly Dahomey) captured and sold slaves to Portuguese, French and British merchants. The slaves were men, women and children from rival tribes captured and jammed into boats bound for the Americas. The terrible truth is that without the complicity of these West African chiefs, it is highly improbable that the slave trade could have ever taken place. This argument is especially poignant in light of #ADOS’ chief issue: reparations. To say that ADOS is in favor of reparations is an understatement. They are concerned first and foremost that any monetary recompense for slavery be specifically designated for Black Americans. They cite the time honored practice by other racial groups of benefit mooching upon the hard won gains of Black Americans. Again, their argument is not without merit. Take for instance the country’s affirmative action policy. The purpose was to rectify the effects of structural racism against Black Americans created through decades of political and economic exclusion resulting from racial discrimination in both employment and education. However, there was a deep flaw in the policy. Subsequent revisions of Affirmative Action undermined the very principle of its necessity. The substitution of the word minorities into the law transformed a recognition of historical exclusion of blacks into a first come, first serve buffet of governmental remedies that served Hispanics, Asians, and more importantly, white women more than black people. As a result, Black Americans were reduced to mute spectators in the effervescent theater of social progress. But what does all this have to do with naturalized African citizens in America? To us, Africans are simply another immigrant group that reflect our inadequacies. They have moved with warped speed toward the citadels of wealth and privilege while we creep at tortoise pace on the fringes of disenfranchisement and economic isolation. They glide effortlessly into Ivy League institutions while we claw and scratch for credible reference letters to get a second look at an application that appears to be a replica of the previous 100 applications vying for the same 5 seats. But is this the fault of naturalized Africans? No! The structural inequalities in the American social order serves a specific purpose. 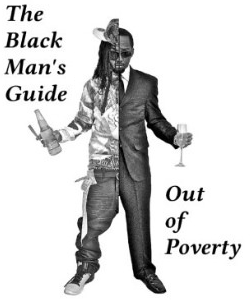 It creates a floor by which all other racial groups measure their limited gains in a system rigged to favor the elite. It provokes their contempt toward black society while engendering their loyalty to the status quo. It politically gags them in conversations about race and class in the larger society. It implies a subtle coercive threat against their immigrant status that forces them into compliance by the stroke of a cold black federal pin. So as the Wakandans & ADOS battle for the throne of Ruler of the Diaspora, the horrific truth is that there will be no real winner. While one may or may not be slightly more economically superior, under the present system, both are destined for adjoining spaces inside of the same kennel. The only real difference, in as far as power is concerned, will be the font on the signs hanging from their perspective cages. TONY MACEO is a senior blogger at the Negromansophere and the Chief Blogger at Power and Strategy.com. Like and Share the article. Subscribe to Power and Strategy.com. Support by Paypal @wayofstrategy44@gmail.com or @powerofstrategies on Patreon. TILL NEXT TIME I’LL HOLLA!